The Niçois  were much chagrined when Buffalo Bill decided not to visit the Riviera this season. They were thus refused a sight of his Red Indians: but they decided to place a group in evidence at the Carnival all the same. 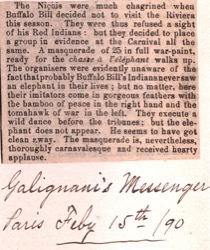 A masquerade of 25 in full war-paint, ready for the chasse à l'éléphant walks up. 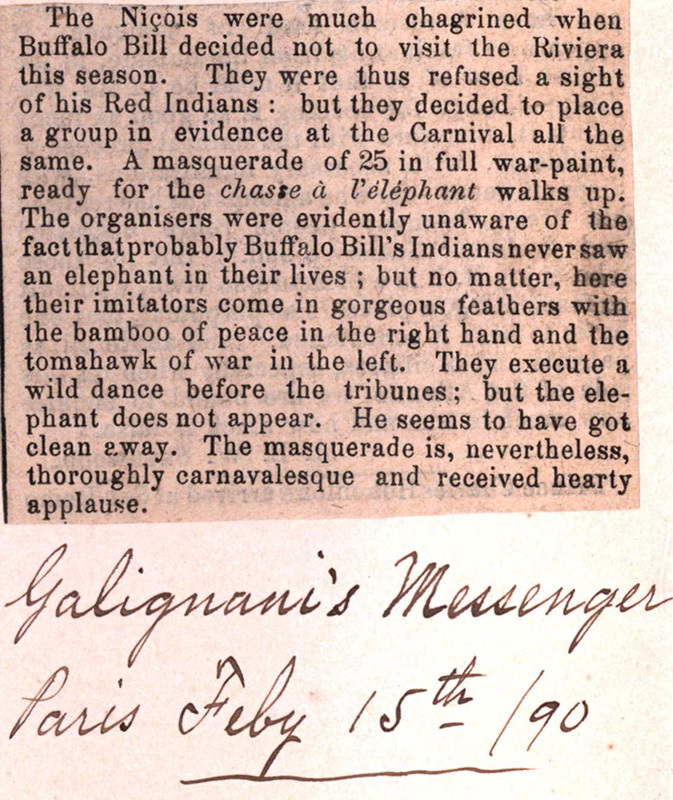 The organisers were evidently unaware of the fact that probably Buffalo Bill's Indians never saw an elephant in their lives; but no matter, here their imitators come in gorgeous feathers with the bamboo of peace in the right hand and the tomahawk of war in the left. They execute a wild dance before the tribunes; but the elephant does not appear. He seems to have got clean away. The masquerade is, nevertheless, thoroughly carnavalesque and received hearty applause.